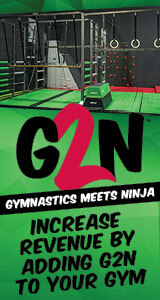 INDIANAPOLIS, Jan. 16, 2018 – Six more gymnasts earned berths to the 2018 Nastia Liukin Cup, scheduled for March 2 at Sears Centre Arena in Hoffman Estates, Ill., based on performances this past weekend at the California Grand Invitational in Anaheim, Calif.; Cincinnati Gymnastics Coaches’ Spectacular in Covington, Ky.; and Tampa Bay Turners Invitational in Bradenton, Fla. The Series resumes Jan. 19-21 with Kim Zmeskal’s Texas Prime Meet in Irving, Texas, and the Sand Dollar/Whitlow Invitational, in Kissimmee, Fla.
At the Tampa Bay Turner’s Invitational, Rachael Lukacs of Hillsborough, N.J./North Stars Gymnastics Academy, the 2016 senior Nastia Liukin Cup champion, posted a 38.950 to clinch the senior all-around title and earn her fifth trip to the Cup. Rose Casali of Weddington, N.C./Southeastern, secured her trip to the Nastia Liukin Cup with the top junior all-around score of 38.450. SCEGA’s Amari Celestine of Wildomar, Calif., and Raegan Walker of Temecula, Calif., earned the junior and senior spots, respectively, at the California Grand Invitational. Celestine topped the junior standings with her 38.300, and Walker tallied a 38.800 to claim the senior title. 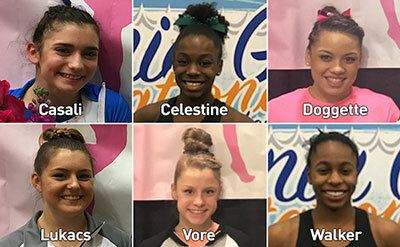 Jacey Vore of Fishers, Ind./Jaycie Phelp’s Athletec Center, junior, and Makarri Doggette of Pickerington, Ohio/Buckeye Gymnastics, senior, punched their tickets to the Nastia Liukin Cup at the CGA Coaches’ Spectacular. Vore posted a 37.475 to take the junior title, while Doggette, who will make her fifth Nastia Liukin Cup appearance in Chicago, scored 38.675 as the top senior at the event.